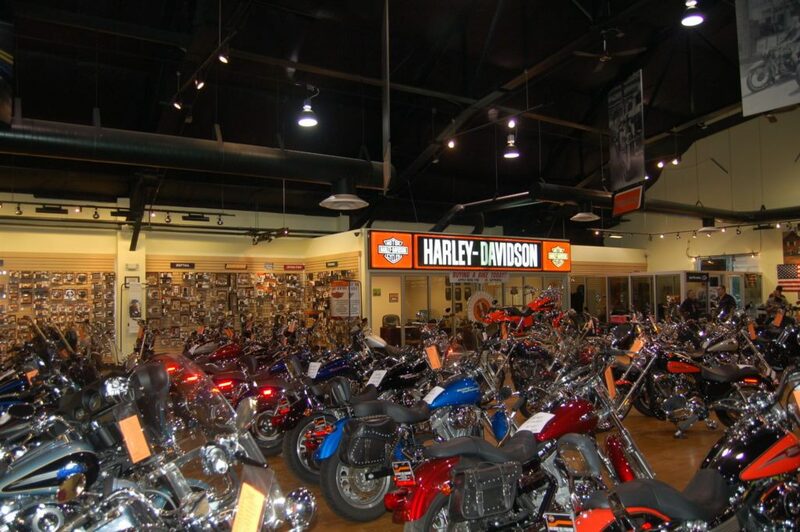 Harley Davidson of Ocean County - Sonnenfeld + Trocchia Architects, P. A. 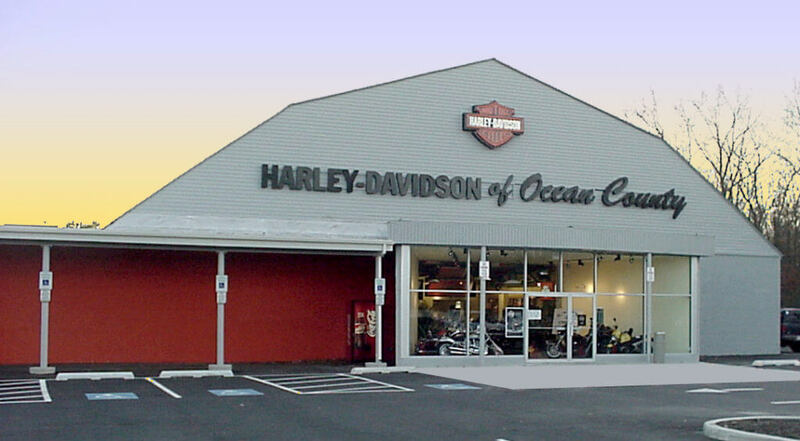 The Harley Davidson of Ocean County is located on the site of an old roller skating rink. The open plan offered a spectacular space to situate the showroom. The ceilings were removed exposing the refinished metal roof trusses. 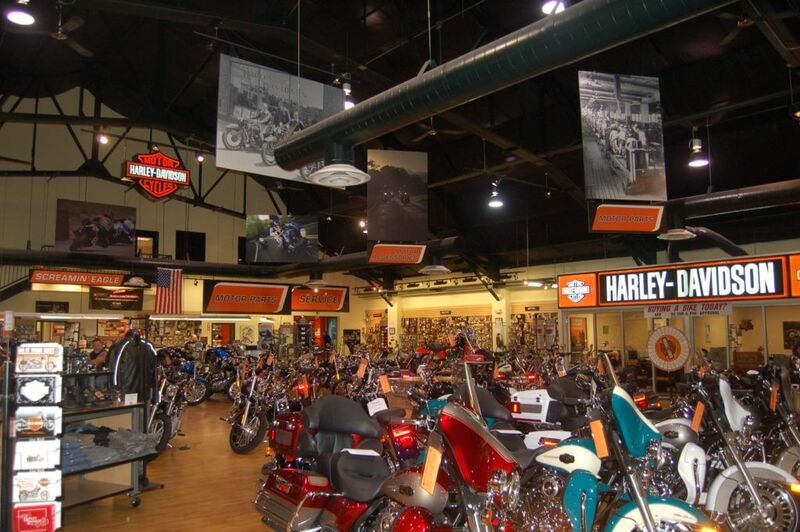 Exposed spiral ductwork is installed throughout the showroom flanked by the Harley Davidson banners, and detailed to mimic the exhaust pipes of a motorcycle. 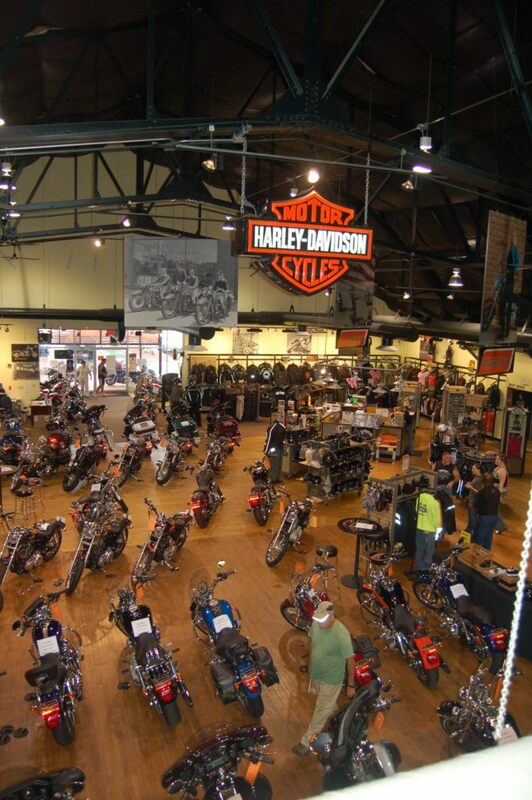 The existing floor was salvaged and refinished to create a pedestal for the display of the motorcycles. 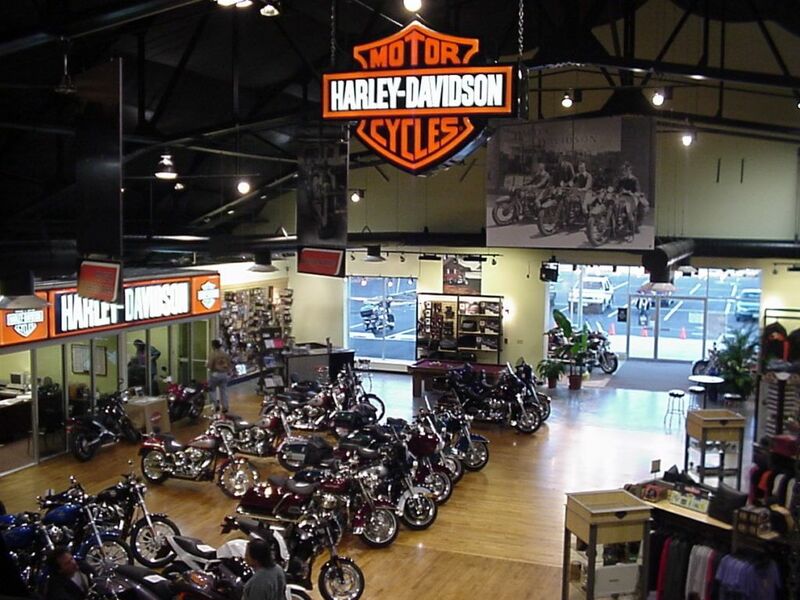 Along with the spacious showroom, this facility includes an area of merchandise display and complete service and parts department.